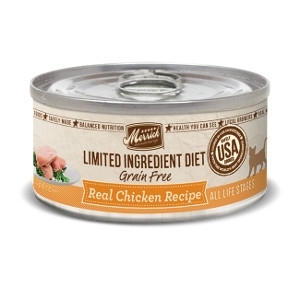 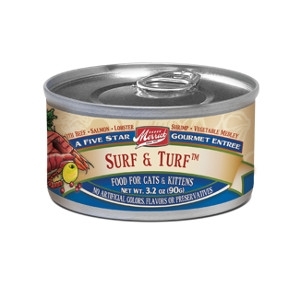 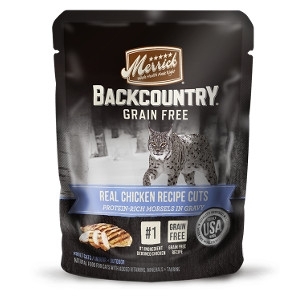 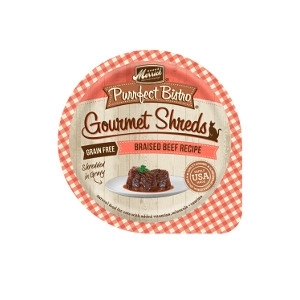 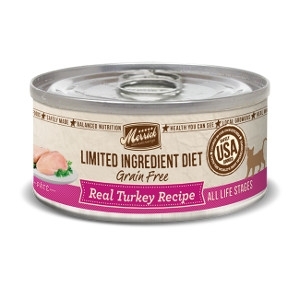 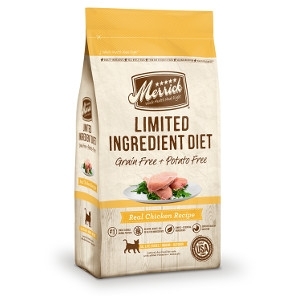 This gourmet dish has been favored by the southern society of felines for years and its no secret as to why. 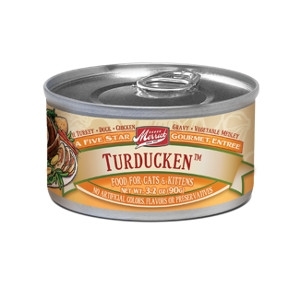 Turducken is the sure way to end a long day for the hard working feline in today's hustling and bustling workplace. A nice snow fall has blanketed the ground and friends & family have traveled from miles around. 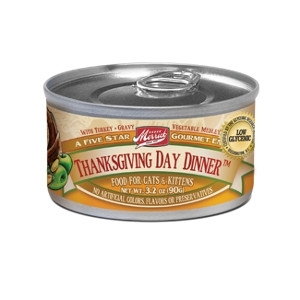 The house is Filled with the wonderful smells of Thanksgiving. This year's plump turkey is basking in its own savory gravy and has everyone buzzing. It doesn't get any better than the heaping plate of juicy turkey and all the trimmings. 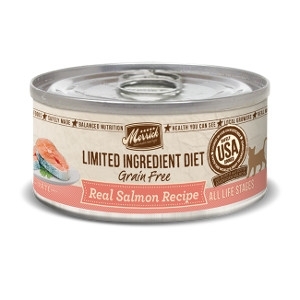 Straight from the sea to your dining table arrives Pacific Salmon, New England Lobster and Crab, savory shrimp along with American fed Beef to meet in a whirlpool of delicious delights. 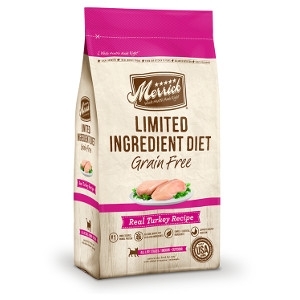 Cats thrive on a grain free diet high in quality protein with moderate fat levels and low levels of carbohydrates. 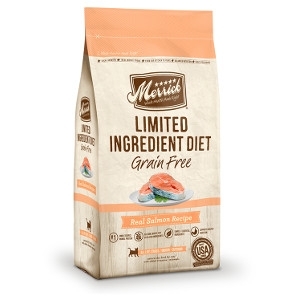 That's why Purrfect Bistro Grain Free Healthy Weight Recipe Cat Food provides balanced nutrition using real whole foods sourced from local farmers. 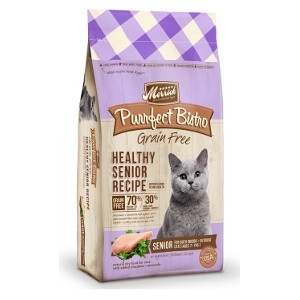 This natural, 100% grain free formula cat food is ideal for adult cats 1 - 7 years old with a focus on maintaining a healthy weight. 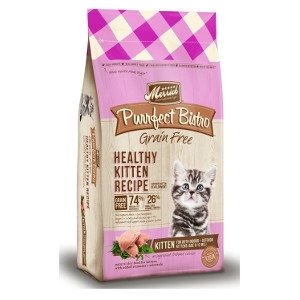 Kittens thrive on a grain free diet high in quality protein with moderate fat levels and low levels of carbohydrates. 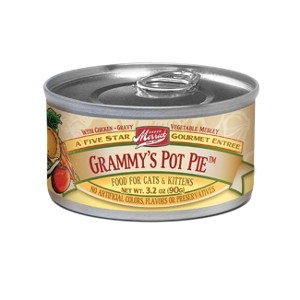 That's why Purrfect Bistro Grain Free Healthy Kitten Recipe Cat Food provides balanced nutrition using real whole foods sourced from local farmers. 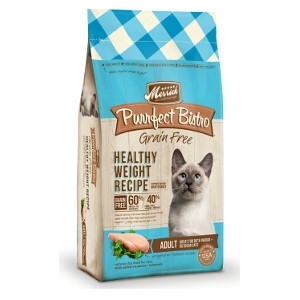 This natural, 100% grain free formula cat food is ideal for kittens up to 12 months old with a focus on providing the right nutrients to support growing kittens.